This 3.5 in. model contains 17 detachable parts and display stand. 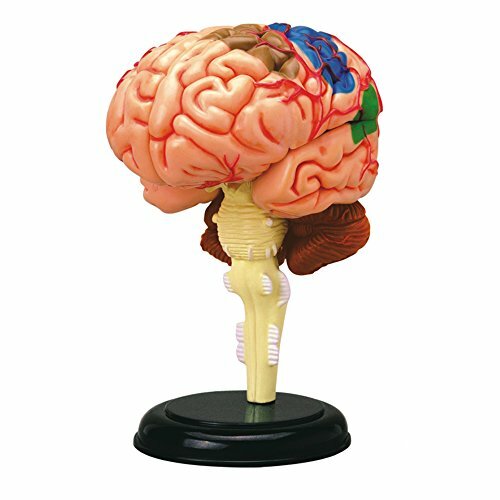 Build your own human anatomy model of the brain This exceptionally detailed hand-painted parts and a display stand. Also includes illustrated assembly guide and description of the anatomy along with some fun Q&A to test your knowledge A nice addition to curriculum for teaching kids human anatomy or any child's science fair project related to human anatomy. Collect the series and have your own human anatomy museum For ages 8. If you have any questions about this product by TEDCO, contact us by completing and submitting the form below. If you are looking for a specif part number, please include it with your message.